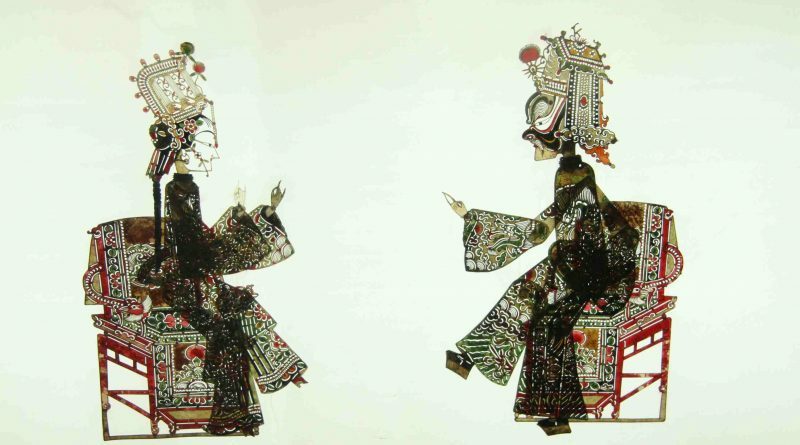 As the practice of Chinese shadow puppetry languishes, the traditional shadow puppets are dying by the thousands: neglected to ruin, strung up, misunderstood or framed in permanent silence in the name of ‘preservation’. Soon, these static shadow bodies will be the only traces of the living form that remain. Immaterial Remains captures the vision of a ghostly Chinese shadow puppet future with ethnographic documentation, creative explorations of shadow preservation and a live performance/lecture by the artist. In this performance/lecture, Rollins presents her most pressing conundrum: how do you preserve a shadow? With a short survey of her apprenticeship and fieldwork, a trajectory of the failures that brought her to her thesis question and a musing of shadows, ritual, and the power of folk art, are all told through the medium of shadow itself. Mixing projection, traditional puppetry, and autobiography, Rollins poses her questions back to the audience, still searching for answers she hasn’t found yet. Annie Rollins is a researcher, theatre artist, and practitioner of Chinese shadow puppetry, studying as a traditional apprentice since 2008. Rollins has received a Fulbright Fellowship, the Confucius Institute Joint PhD Research Fellowship and a Canadian SSHRC Doctoral Fellowship for her research. She is currently writing her dissertation in Concordia University’s Interdisciplinary Humanities PhD program on the transmission of traditional Chinese shadow puppet making methods. Recent venues for exhibitions, lectures and performances include The Art Institute of Chicago, The Montreal Botanical Gardens, The Center for Puppetry Arts in Atlanta, the Virginia Fine Arts Museum, the Linden Center in Yunnan China, and the Rietveld Academie in the Netherlands. Annie has published articles in Puppetry International, Asian Theatre Journal and Anthropology Now. Rollins recently launched the first English language comprehensive Chinese shadow puppetry site at www.chineseshadowpuppetry.com.